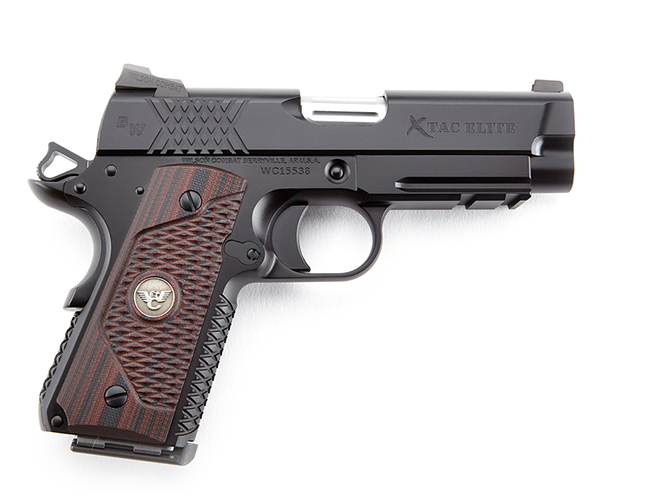 A veritable shooter's gun, the Wilson Combat Bill Wilson Carry II is chambered in 9mm or .45 ACP with a four-inch stainless match grade cone barrel. 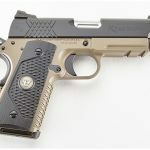 Chambered in 9mm or .45 ACP, the Bill Wilson Carry II features a four-inch stainless steel match grade cone barrel; four-inch carbon steel slide; compact X-TAC grip frame; integral light rail; gold beat front sight; contoured magazine well; overall weight of 29.63 oz. 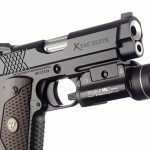 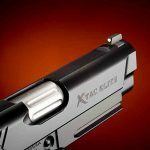 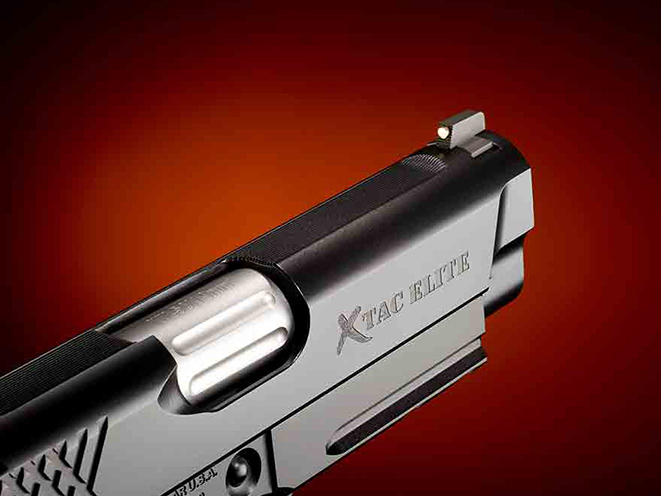 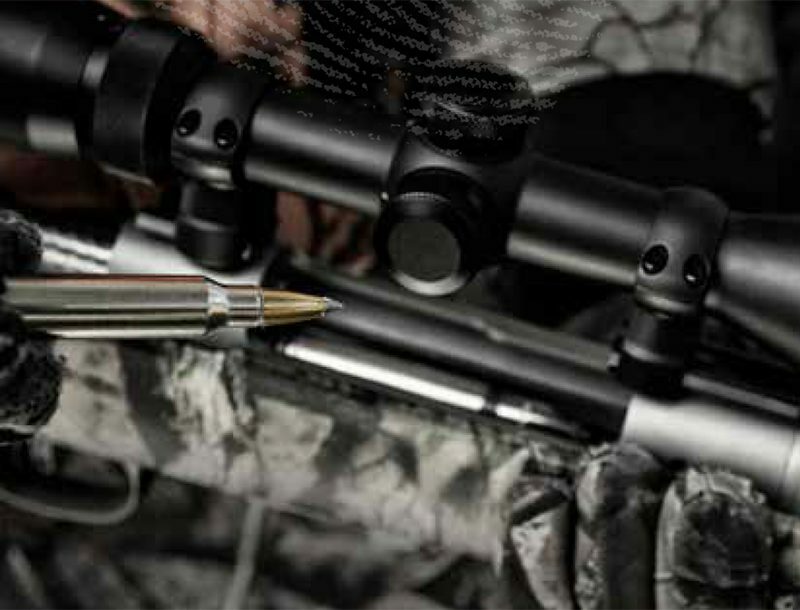 empty; accuracy guarantee of 1.25″ at 25 yards; and much more. 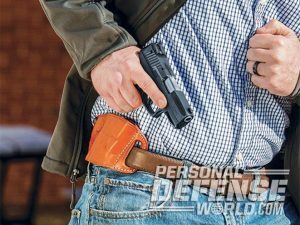 When worn in Bill’s Lo-Profile II OWB holster, this gun essentially disappears under a vest or light shirt. 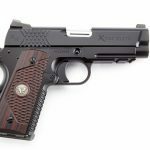 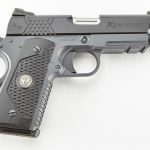 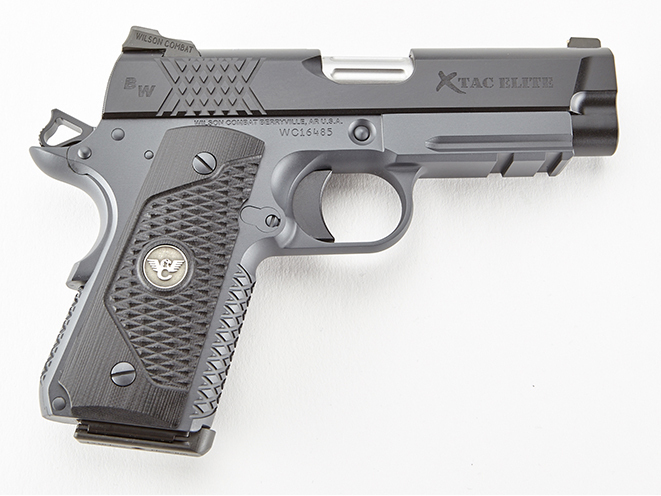 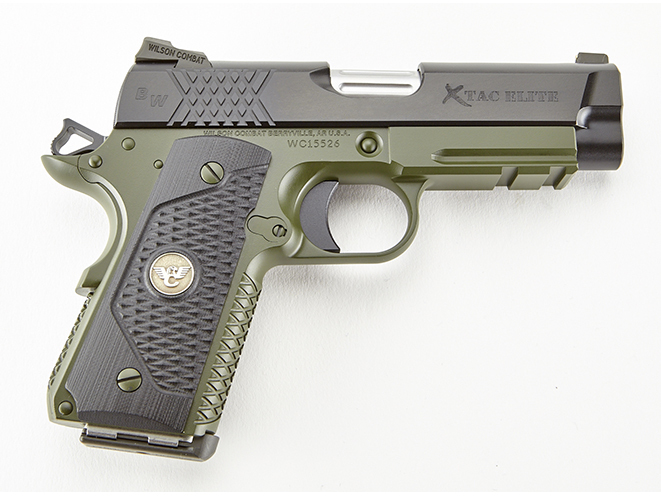 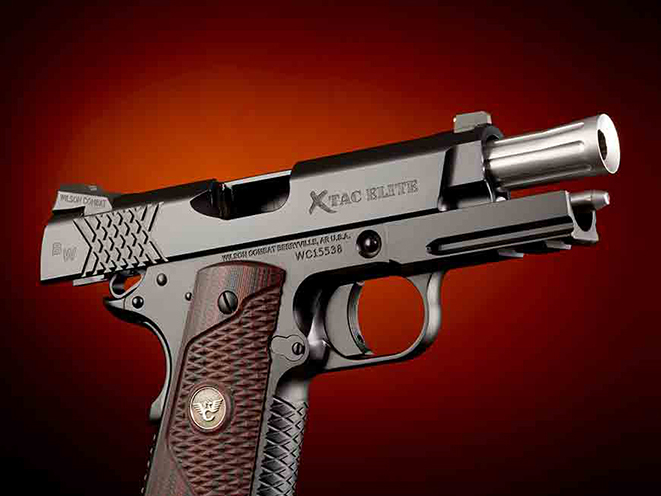 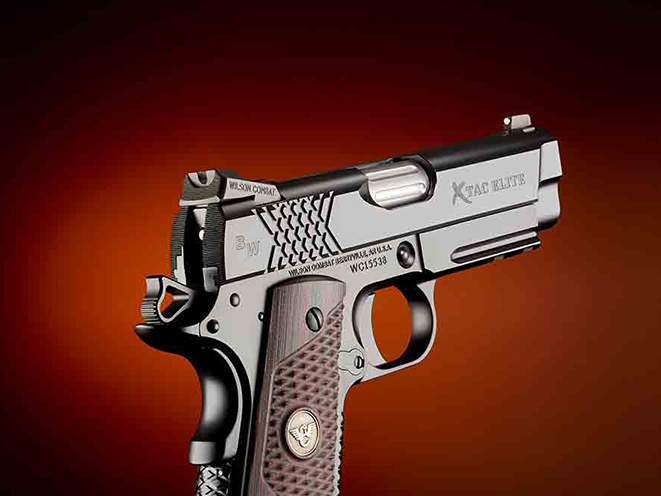 It’s “exactly how Bill currently options his daily carry pistols,” Wilson Combat says. 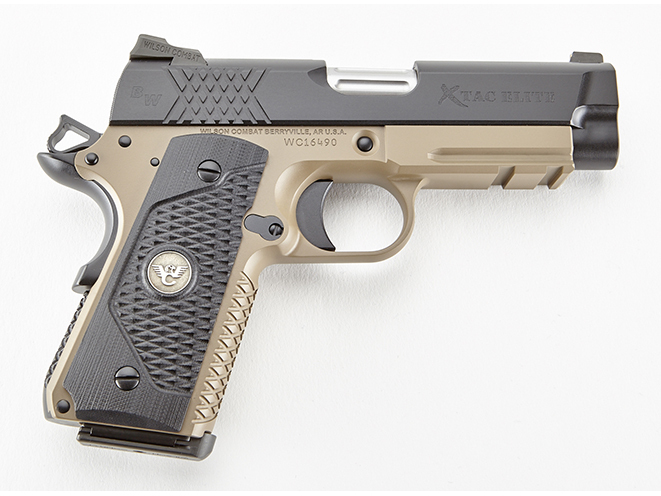 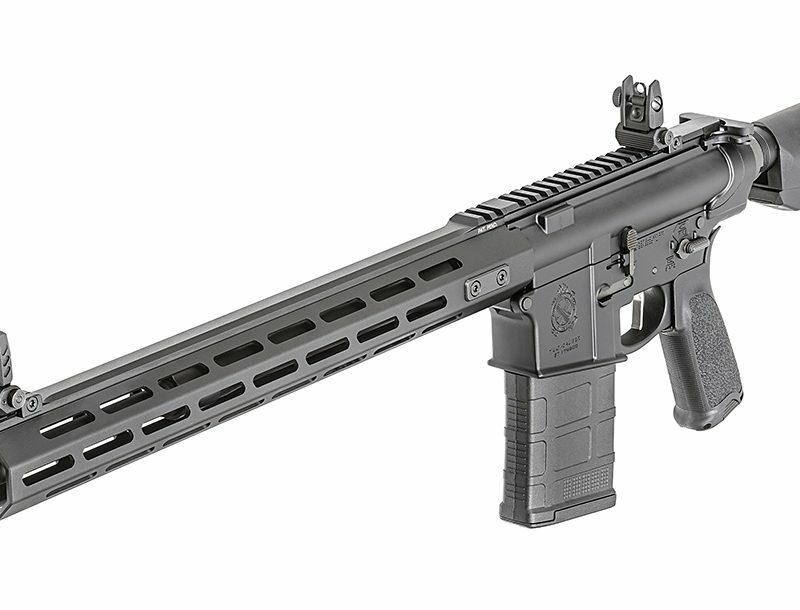 The only options available on this model are the Armor Tuff finish color (FDE, Gray, Green), front sight, single or ambi safety and an optional maxwell. 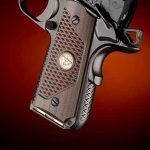 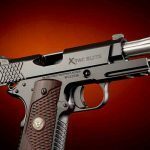 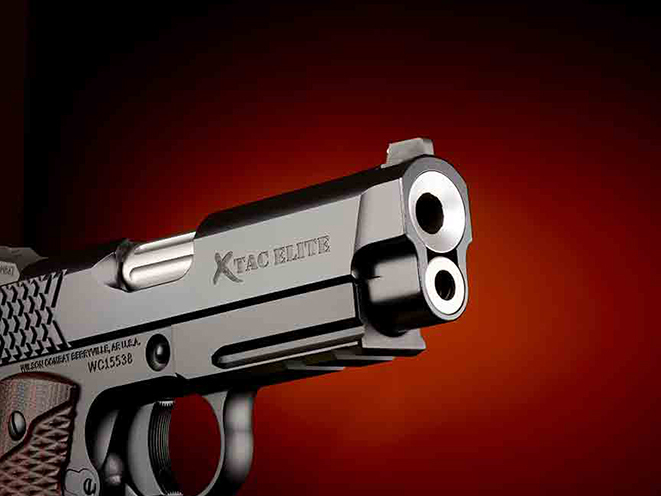 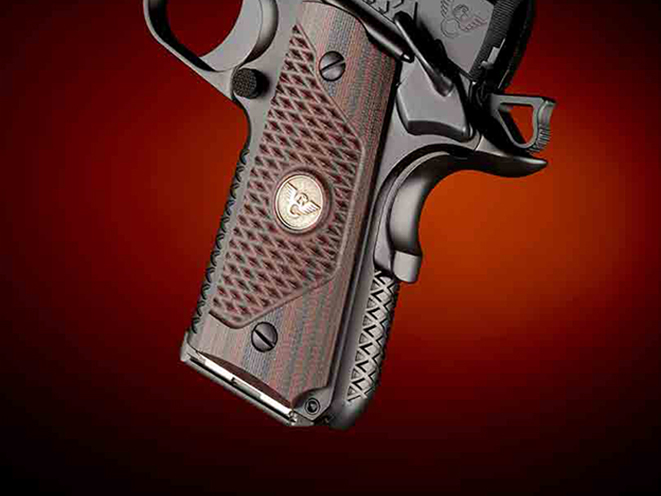 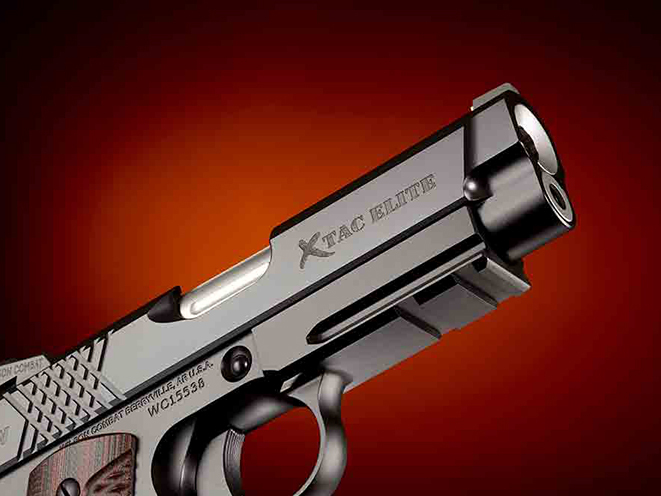 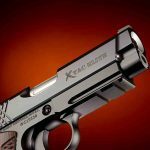 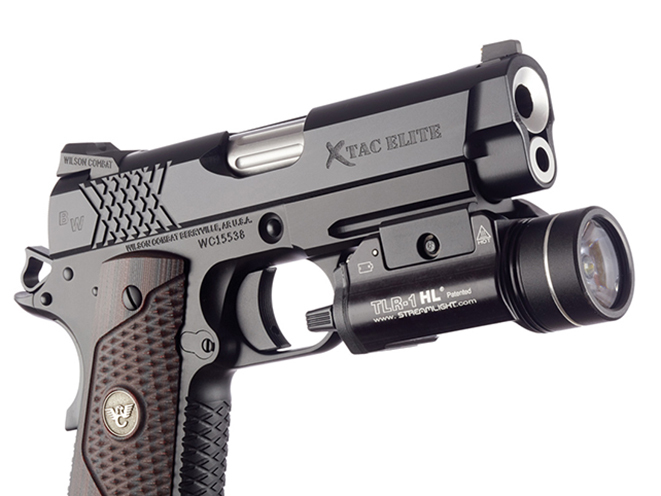 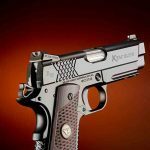 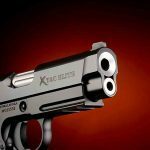 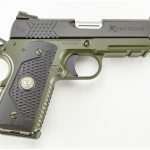 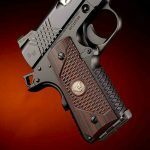 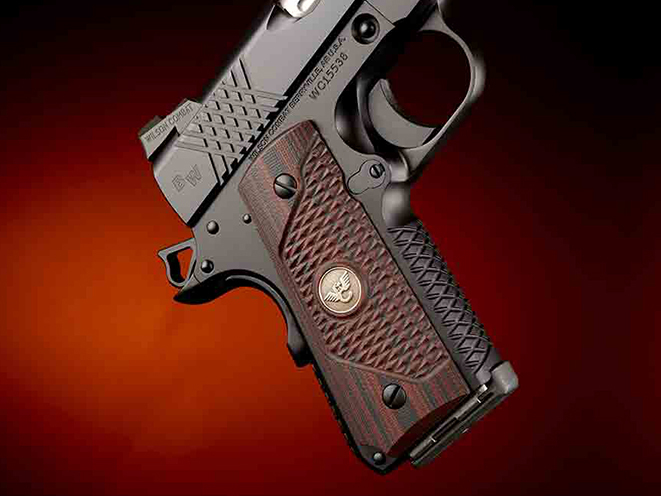 No other custom options will be made available or performed by Wilson Combat.